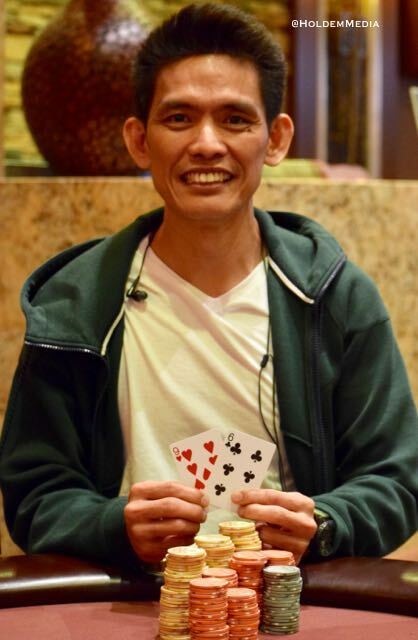 Julius Roque came from Alberta, Canada to play the WPTDeepStacks series. When it came to last night's $160 6-Max-From-36, Roque showed Canadians have a hunger for betting units. Roque began building a huge stack late in the event, moved to the final table as the overwhelming chipleader and never took his foot off the gas pedal, eh. Heads-up play against "Ed's Back," Scott started with Roque holding a 7-1 lead and the tourney closed out shortly thereafter. Here are the full payouts.